Home » Life in London » Events » Still a Bit of Summer Left. What Not to Miss in London. Still a Bit of Summer Left. What Not to Miss in London. August is already upon us, which means there still is a bit of summer left for us to enjoy. This includes the last long weekend before Christmas. So, I thought I’d give you an idea of what you can do if you’re living here or planning to visit or are, simply, interested in other cities. Some of the events below take place every year. So, let’s get cracking. I’ll try to list the most popular, as well as the most appealing. I may be writing here about some of them too. This is one of the most popular event in London in August. It takes place during the long weekend in August, with Sunday being the aimed at kids and Monday being the most important day. It isn’t a carnival in the Brazilian sense, but pretty similar. The West Indies celebrate their cultures with street food markets, a cheerful and colourful parade (using rather loud speakers) and music system areas. For a quick summary and pics, see some of my previous posts. You should definitely go if you have the chance. It really is an experience. Be prepared, though for large crowds and loads of police officers walking about or riding horses. This is one of the largest street festivals of its kind, with more than one million attendees being expected. Really good. Fancy a bit of cinema and theatre? You should check activities in Somerset House. For other options, there are outdoor cinemas in rooftops, cemeteries and in Camden. Everyman has a 250-seater cinema in Battersea Power Station. There usually are free outdoor theatre in some locations. In August, there are Shakespeare’s plays in Canary Wharf. Lunch time concerts in a park near South Bank and in other locations are usually quite popular. For those of us who cannot make it to this brilliant festival in gorgeous Edinburgh, the Camden Fringe offers the chance to see comedy and theatre quite cheaply. Check it out. It’s fun. Many of them are even free or rather cheap, like the Alternative London Tour or Yannick Pucci‘s. 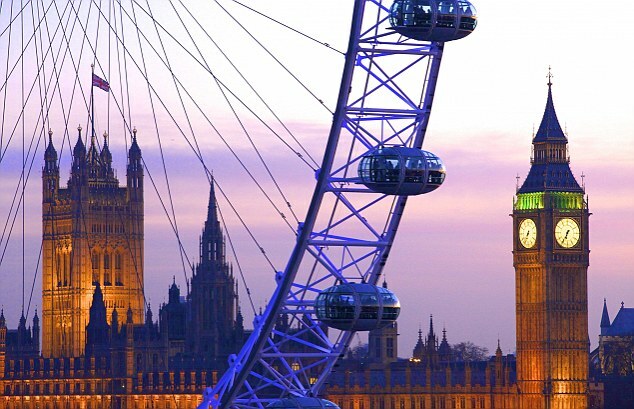 Yannick is another expat, and you might benefit from seeing London from his point of view. The Festival of Love, the Udderbelly Festival, the BFI, scenic walks along the Thames, food markets, music, theatre, art exhibitions, Gabriel’s Wharf… Many of these activities are either free or rather cheap. What’s not to love there? An-mile loop in central London is closed to the traffic on 9th August and cycists can take a safe ride. It is free to join. Later in the day, there are some races in St James’ Park too. London park are so big and diverse. They are usually home to lakes, music and museums. In Richmond Park and I believe in some areas of Hampstead Heath (Golders Green area) there are deers, birds, etc. The Serpentine is a lake in Hyde Park which is the boundary between Hyde Park and Kensington Gardens. In its art gallery, you can currently visit the Marina Abramovic exhibition and see this year’s Pavillion. Oh, you can now barbecue in Camden parks. Please be careful! If you fancy exploring nature and see otters and other animals, this place is ideal and not too far away from Hammersmith. Do you want to have a picnic, see some weird (and not so weird, but out of a supermarket shelf) plants or experience some history? The Royal Botanic Kew Gardens is ideal. Super recommended is walking on the tall trees – you’ll see what I mean… Totally safe. You’ve read right. Several venues around London have made some artificial beaches, like this one at Camden Round House. I will be updating this list as I hear of any other activities that you might like. Enjoy August! London isn’t as grey as people think. Thanks for your comment! 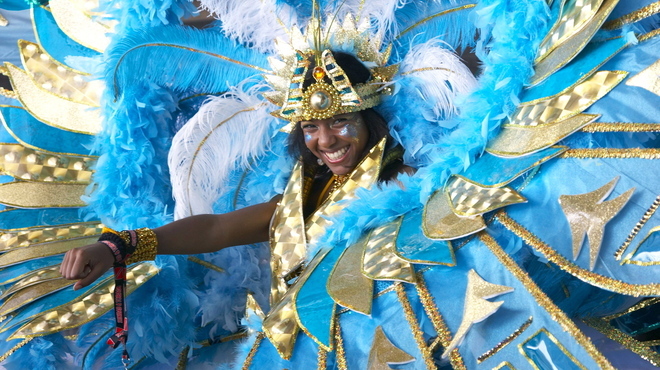 I am hoping to finally catch Notting Hill Carnival this year, have you been? Wow! That’s quite the list. It sounds like you will have an action packed summers end.